Knowing what you’re going to get in advance isn’t always bad. If you asked Santa for a ColecoVision, and you woke up early one crisp December morn to find one under the tree, you’d be happy. Rolling into the club and knowing in advance exactly what tracks you’re gonna get from a DJ, however, is another bag of marbles entirely. The same can be said for knowing the genre of every song to be played during a set. Stagnation of style and blindly following expectations limits an artist’s potential, and causes serious drag on the dancefloor. Gernot Bronsert and Sebastian Szary have made a career out of keeping the crowd guessing. 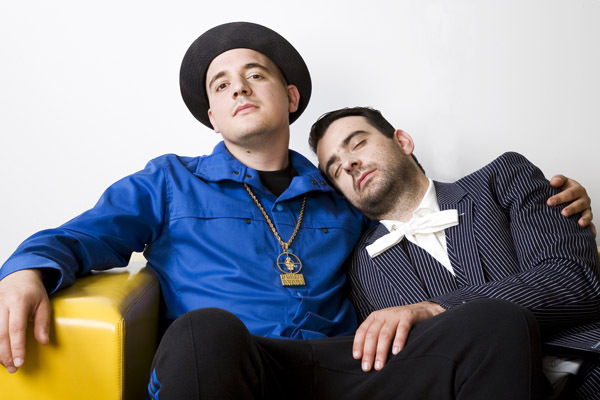 Mixing genres while keeping your underground cred is often a dicey situation, but Modeselektor walk that line without trepidation. Whether opening for Radiohead, slaying crowds at festivals or mixing it up in the club, the guys stay true to themselves and give audiences exactly what they didn’t know they wanted. Which I found out firsthand at Coachella in April of 2008. Sprinting from the Mojave to the Sahara tent after Sia’s set I was rewarded with an audio-visual onslaught of face melting proportions. I expect nothing less when they take the stage at this year’s Hard Haunted Mansion on October 31st, where they’ll be joined onstage with visual antics of Brooklyn’s Fantastic Nobodies. And that’s where we find Gernot Bronsert — at home in Berlin looking after his son while his girlfriend gets a rare chance to go on vacation. What are your thoughts on Berlin and its scene at the moment? I grew up here and it’s pretty boring. There are also lots of people who come to Berlin and spend a lot of money just to be a part of it. All over Europe. Even from Germany. Szary and I come from East Berlin so we were here to experience the wall coming down and all the changes. That must have been a very intense time. Do you miss the excitement and feeling of the early 90’s? I think we never lost the feeling, that’s why we make music. In an interview about 3 years ago you said “we’re not musicians”. Do you still feel that way? MODESELEKTOR – ART&CASH OFFICIAL VIDEO from Pfadfinderei on Vimeo. My little nephew plays the piano. He’s a musician. We use drum machines and samplers. The end result is music, but I don’t think it’s the same. So you’re more businessmen than musicians? Well, we have people for the business side now. 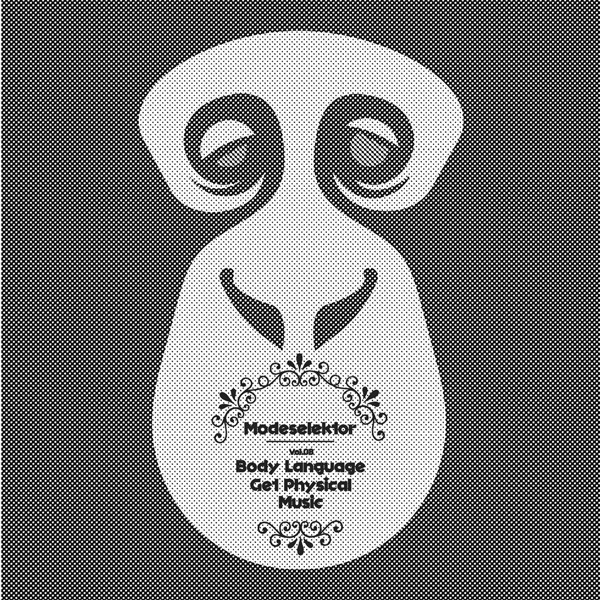 Ok, so I suppose Modeselektor transcends such labels. You named your first record Hello Mom! after you both became fathers. What’s the coolest toy you’ve bought for your son? I bought him a Theremin. He’s totally into it. When attempting to play a friend’s Theremin I found it very difficult. How does your 2 year-old do it? He got it when he was about 1-year-old, and now it’s like a game for him. It’s amazing. Any toys you’ve bought for yourself lately? I got a gas-powered remote control car. I intended to buy my son a small car but ended up spending a lot more on a big one for myself. Well, you gotta take care of yourself sometimes too I suppose. Now you guys are gearing up for a few dates over here in the US at the end of the month. You’ll be in Los Angeles on the 31st of October at the Hard Haunted Mansion. Has Halloween made it out to Germany? Do you plan to dress up for the occasion out here? But everyone else will be in costume! I’m German, that’s costume enough. We’ll have our friends the Fantastic Nobodies from New York with us onstage doing an alien autopsy. Now that’s more like Halloween. You’ve also got the new Body Language Vol. 8 mix out on Get Physical. Your fans in London should hit up the launch party at Fabric on October 22nd. Yeah, and we’ll be working on a new album as well. Our graphic artist was so excited he’s already done the cover artwork. You guys were featured in the documentary Speaking in Code. How was that experience? This girl was just there for awhile with the crew and we just accepted the situation. Then we didn’t hear anything for a couple years until we did a show in Boston. They organized a screening so we could see the movie. It was interesting to see our old shows. Speaking in Code deals a lot with the director’s failing relationship with her then-husband and his increasing involvement in the electronic music scene. How have your relationships fared with your touring and constant travel? Szary just got married 4 weeks ago and I’m going to be married soon. Our girls were aware of the situation. They know what we’re doing and that’s why they love us. So you were already performing by the time you met? Yeah, but everything was much smaller. We took the families along to Japan when we toured with Radiohead which was a nice experience. I’d heard you guys speak before about how you’d seen Radiohead play in Berlin and then a number of years later you’re opening for them on the same stage. It’s gotta be weird. Before we opened for them, yeah, I thought it would be a crazy experience. But when we did they show it was very normal. The guys are really down to earth. They’re just cooking their tea with water like everybody else. You collaborate with other artists frequently, Apparat (as Moderat), Thom Yorke, Puppetmastaz, Paul St. Hilaire and others. Are you guys that much fun to hang out with or are there other reasons you work so well with others? Working with other artists brings excitement and a different energy to our work. We’re not the kind of studio producers who sit around in a big leather chair; our collaborations are based more on friendship. We don’t make music to sell millions of records, we do it for love! You’ve worked with the French hip-hop crew TTC on Hello Mom!’s first single, “2000007”. Do you see yourselves teaming up with any US rappers? Yeah, but all the US MCs are too expensive and we don’t know them personally like the artists we work with here. They should do it for the love. We’re actually going to move out to New York next spring for a couple of months to do exactly that [work with American hip-hop artists]. Electronic music in Europe has penetrated much deeper than here in the States. You hear it on the radio, for instance. Do you see this changing in America? For us, we couldn’t live just making music in the US like we do in Germany. The US is so big, the touring is exhausting. Electronic music is getting bigger in the US, but in a different way. Americans always need a person or character to attach to. Here in Germany there are a lot of music fans that can believe in something that’s made with machines. The US scene is getting bigger, you can see it at festivals like Coachella and the Decibel Festival. On top of everything else, you just finished the Moderat tour. How was that? It was intense. I lost weight. I guess it’s time you headed out for some groceries so you can pack on some pounds for the next tour. So if you were lost in a supermarket, in what aisle would we find you?